Are you're looking for a great fruit dessert to serve? 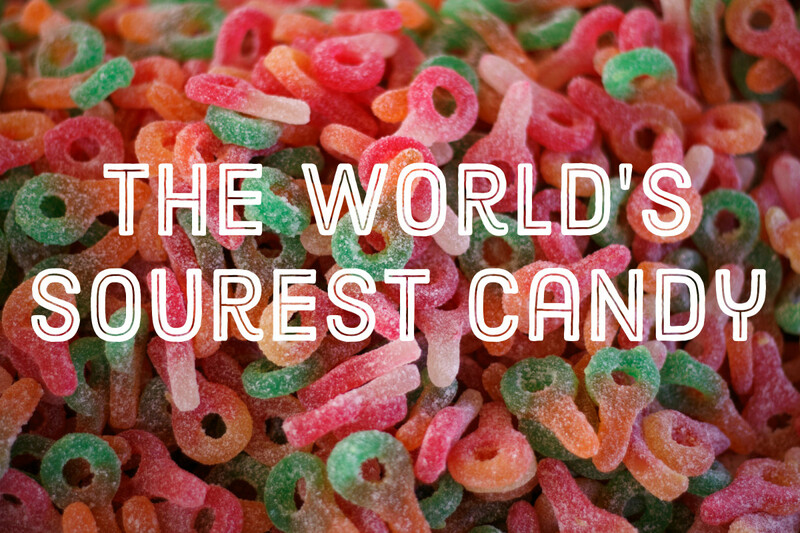 You're in luck because this one takes the cake. 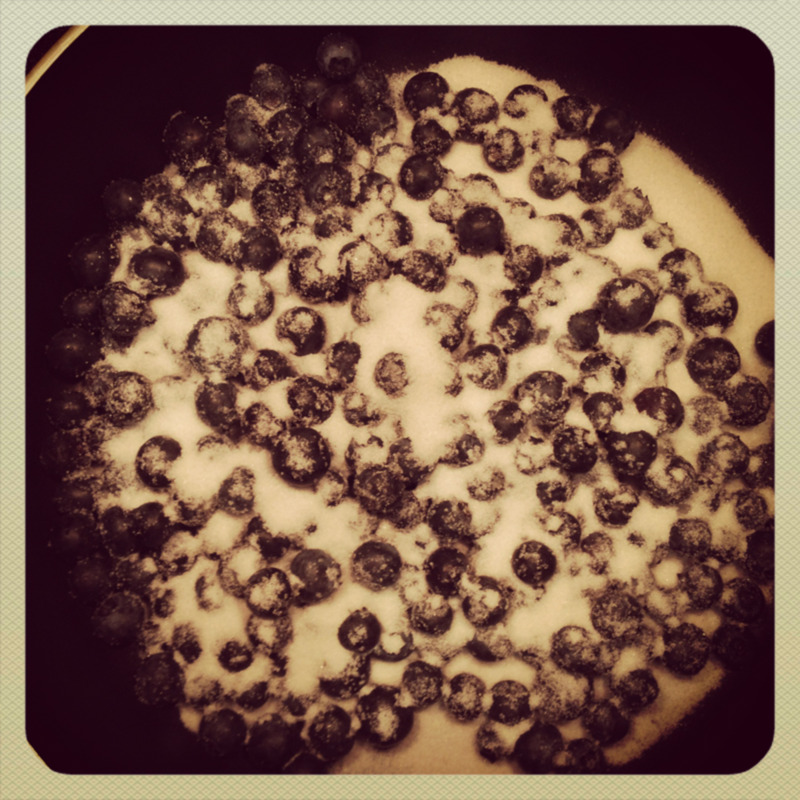 I didn't care much for blueberries growing up, but lately I can't get enough of them. Since they're in season right now (June), I have been buying fresh blueberries once a week and eating them any way I can think of. This dessert is quick and simple and "pulling it off" tastes as good as the delicious treat itself. 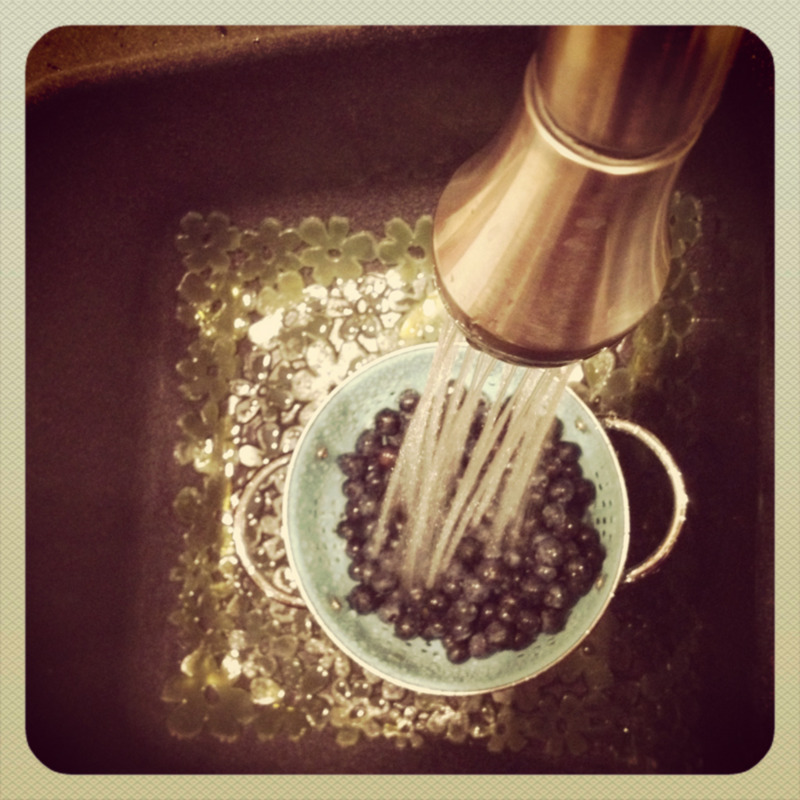 Blueberries are in season from mid April to late September. If you're making this dessert during October through early April, you can use frozen blueberries. 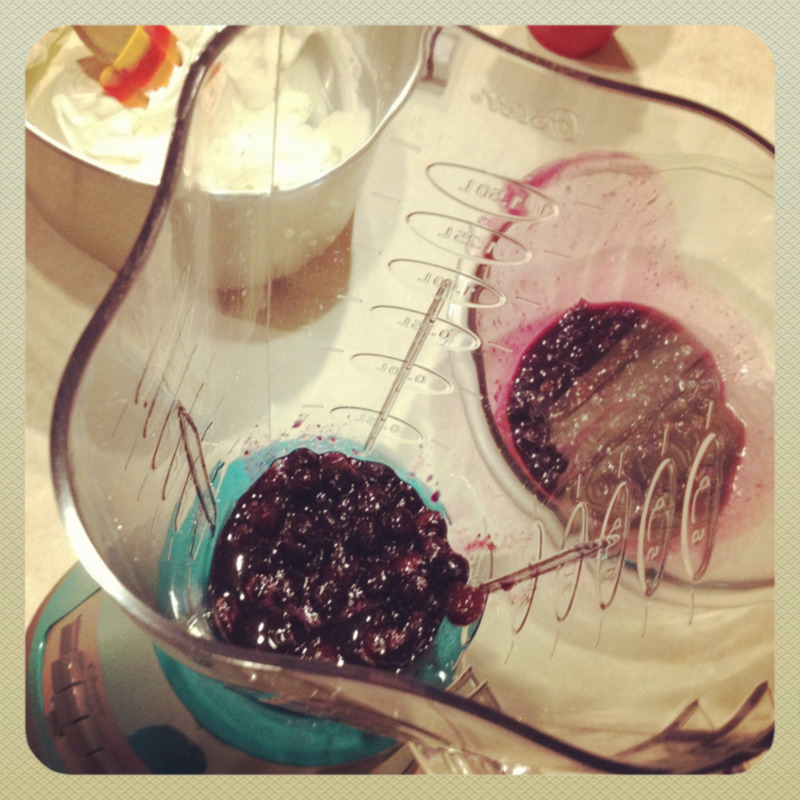 Pour half of the cooked blueberries into the blender. Lock the lid and pulse together to reduce fruit to a puree. Pour the cream into the cold mixing bowl. 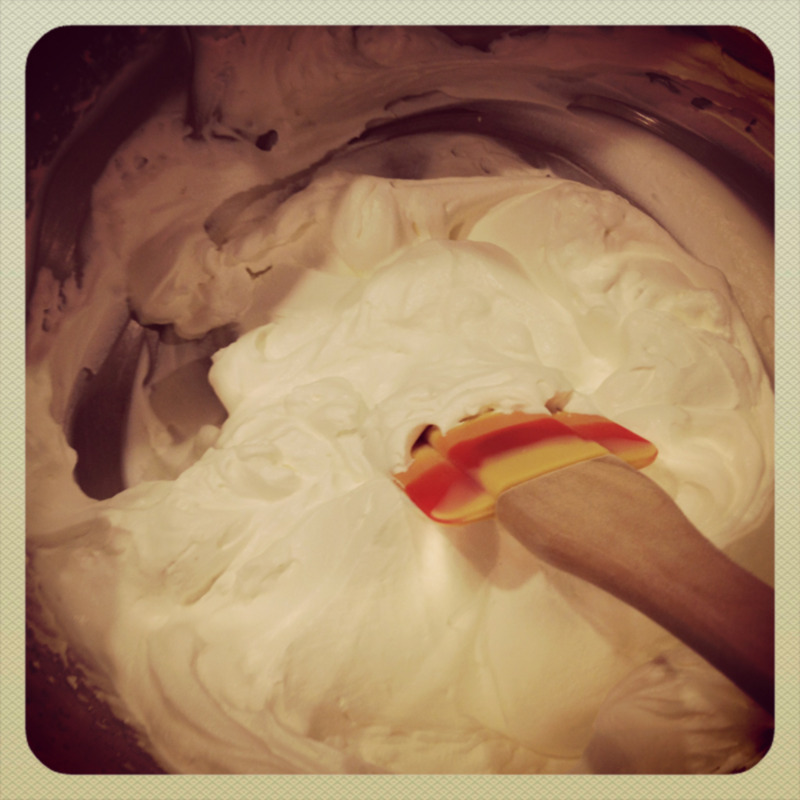 Whip, slowly at first and then, when the cream begins to increase in volume, increase the speed. Continue to whip until the cream is quite firm. 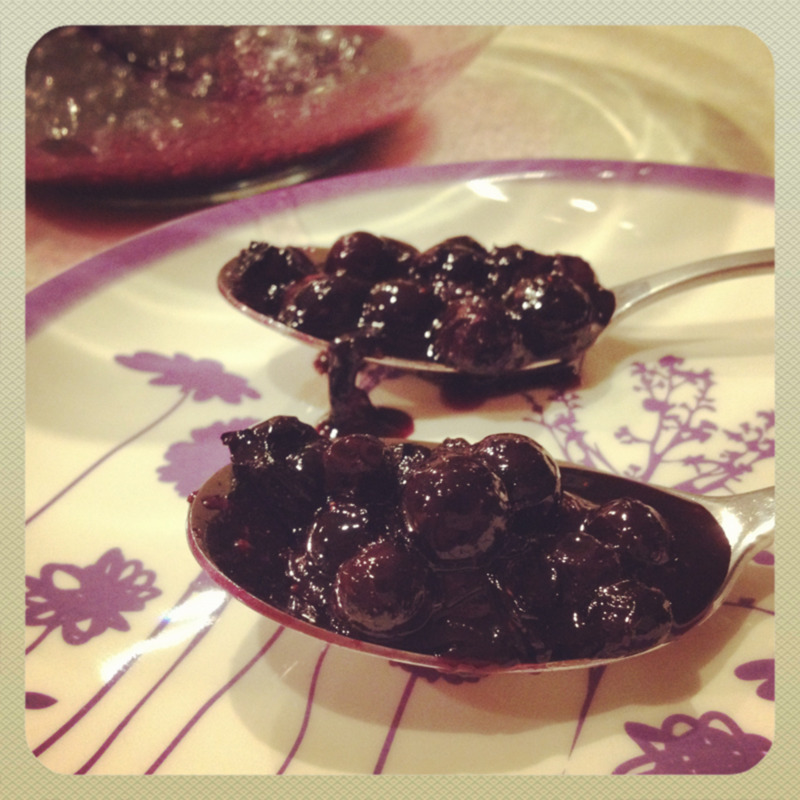 Save a spoonful of berries and syrup for each serving and set to side. 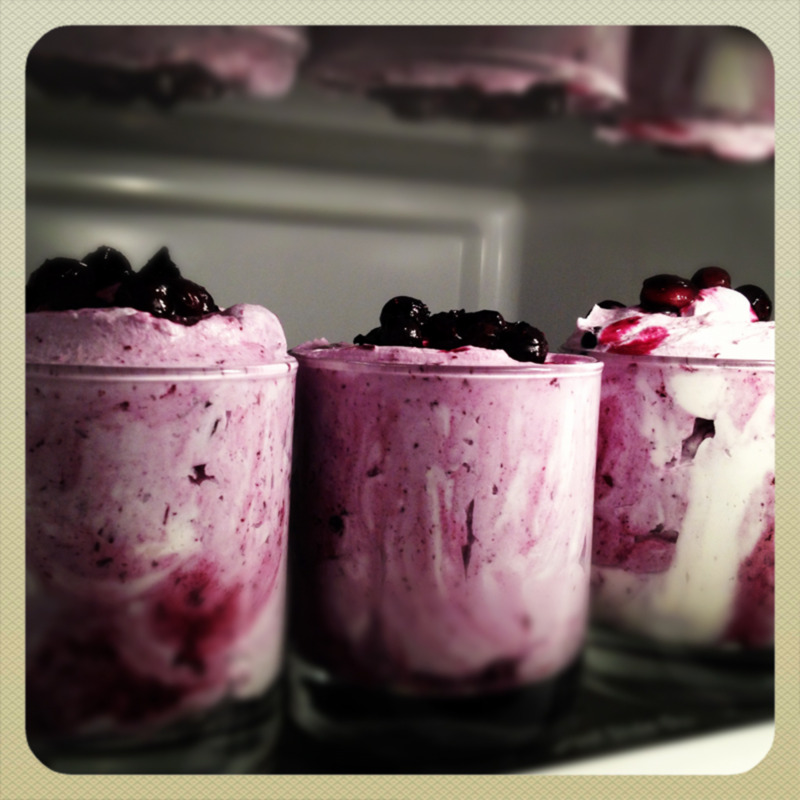 Very carefully fold the blueberry puree and the remaining blueberries into the whipped cream. 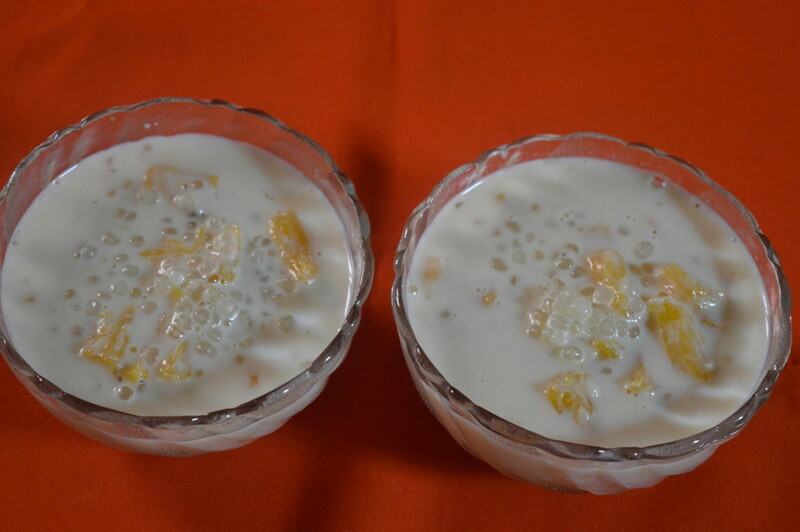 Divide the mixture into small dishes or glasses. 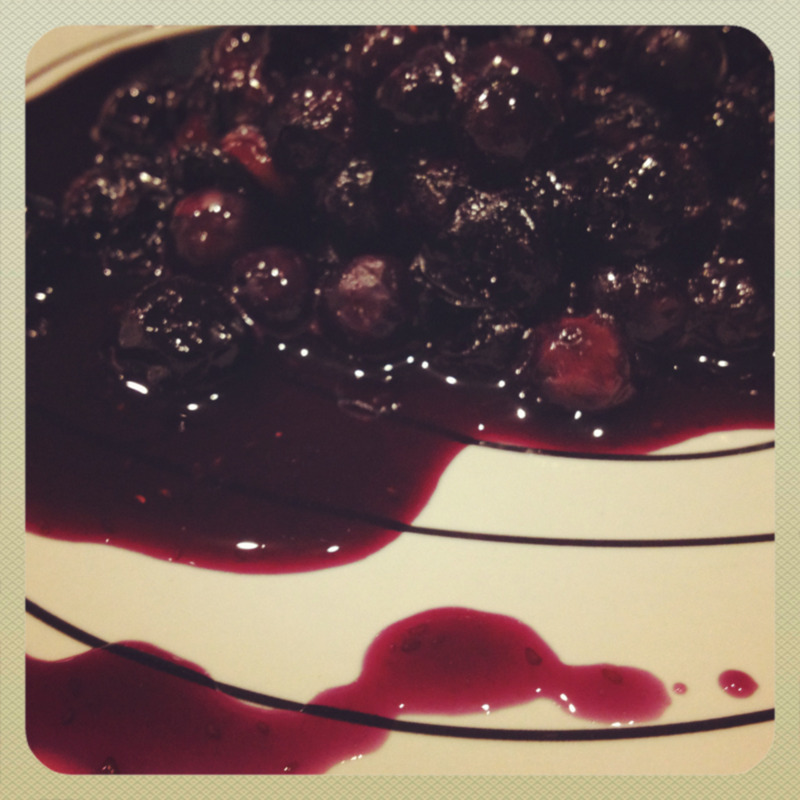 Top with spoonful of berries and drizzle syrup. Serve immediately. 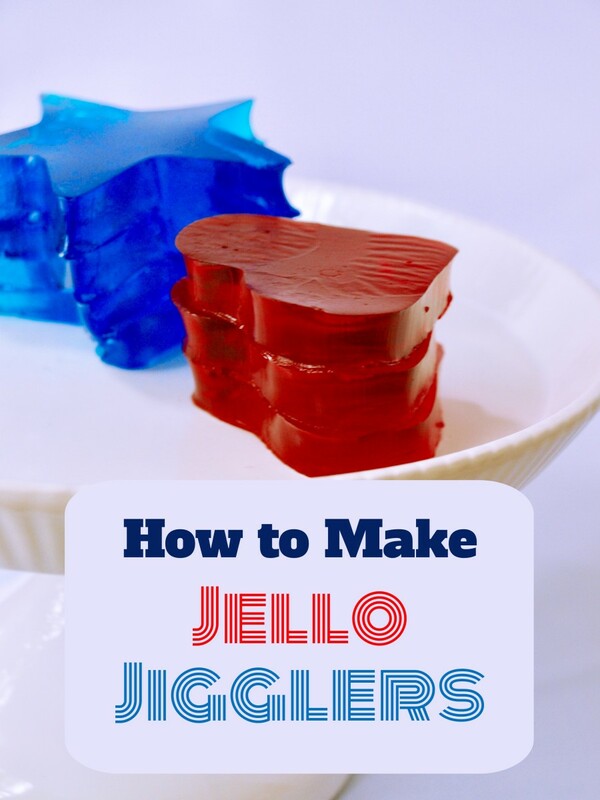 Refrigerate up to one hour. 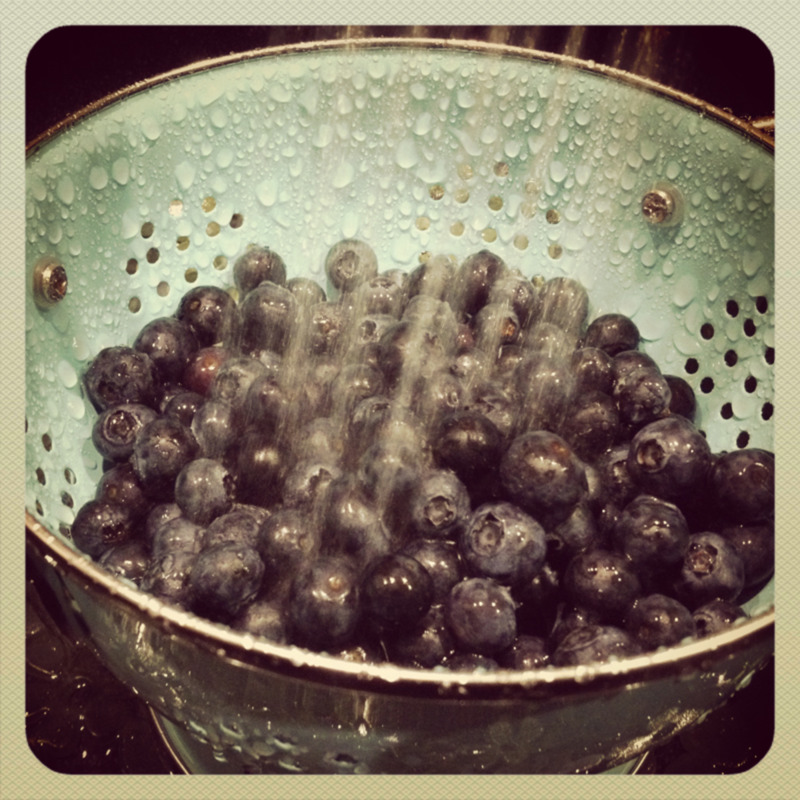 are among the highest anti-oxidant value fruits. have vitamin C, vitamin A and vitamin E.
contain minerals like potassium, manganese, copper, iron and zinc. *Keep your cream in the carton when placing it it in the freezer, or otherwise work quickly. At about the fifteen minute mark, my cream began to freeze. 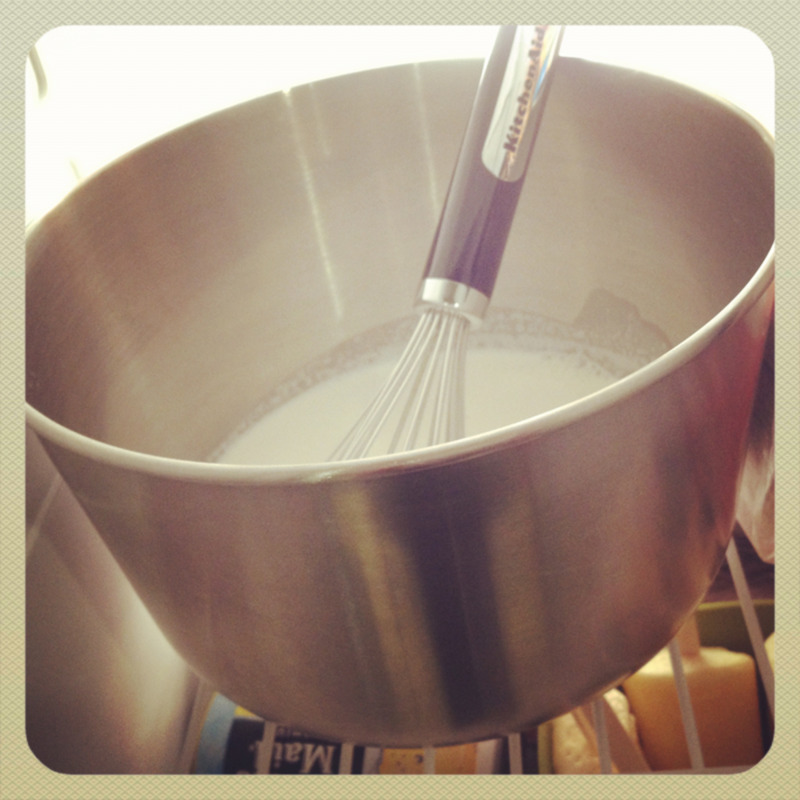 Use a metal bowl for whipping your cream. Plastic bowls can hold onto oils from other foods which will sabotage your whipping efforts. 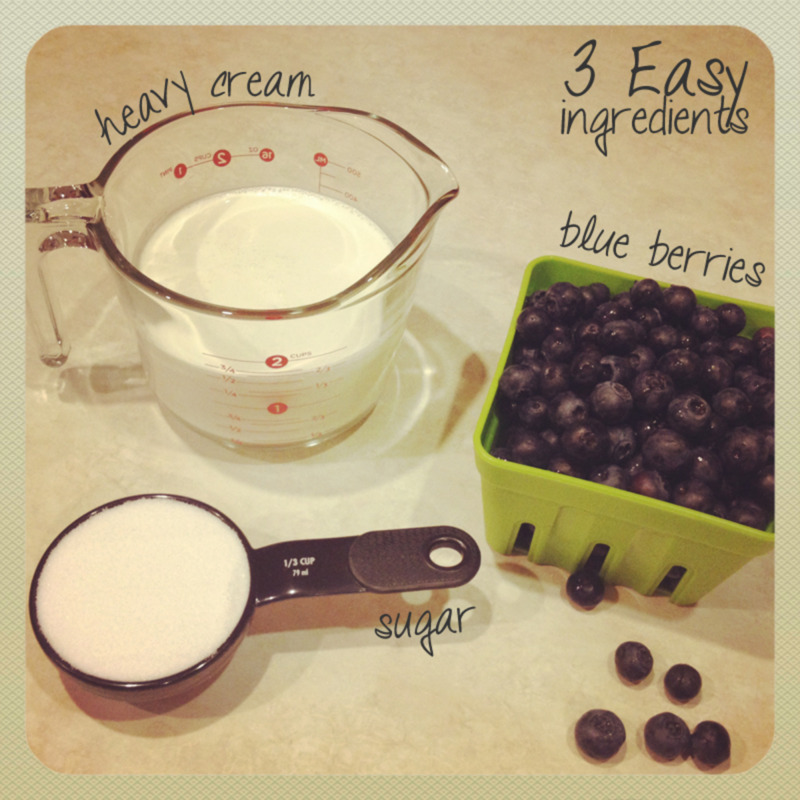 **Cooking the fresh blueberries and sugar yields a gorgeous topping and syrup that can be made quickly and easily for pancakes. Don't over-mix your fruit, puree, and whipped cream. Spoon into glass dishes for an eye-pleasing display of white and (a spectrum of) purple swirls from every angle. Over-mixing will ruin this effect. The picture of the three desserts below was taken right after they were spooned into the glasses. The cream and syrup were very fresh. The very first picture at the top of this article was taken a couple hours after. The syrup that was drizzled on top had bled into the cream and settled. I think both look great, but keep this in mind when preparing and timing when you will serve yours. This dessert is as simple and fast as it looks/sounds. And if for some reason it seems difficult or time-consuming, let me assure and reassure you, that it's not. When I say ready in twenty minutes, I'm probably being generous. 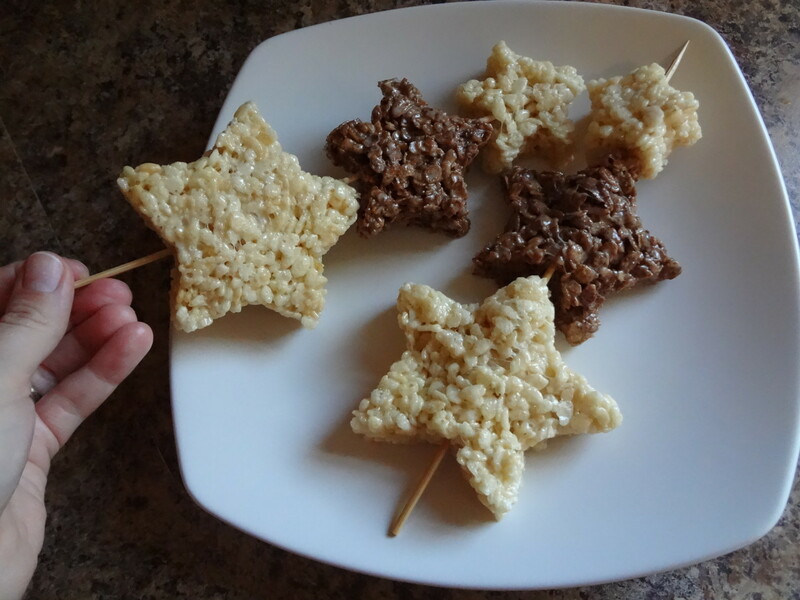 You could be done with this delicious treat in less time, especially if you have a second pair of helping hands. It's so fast in fact, that you don't necessarily have to make it ahead of time. 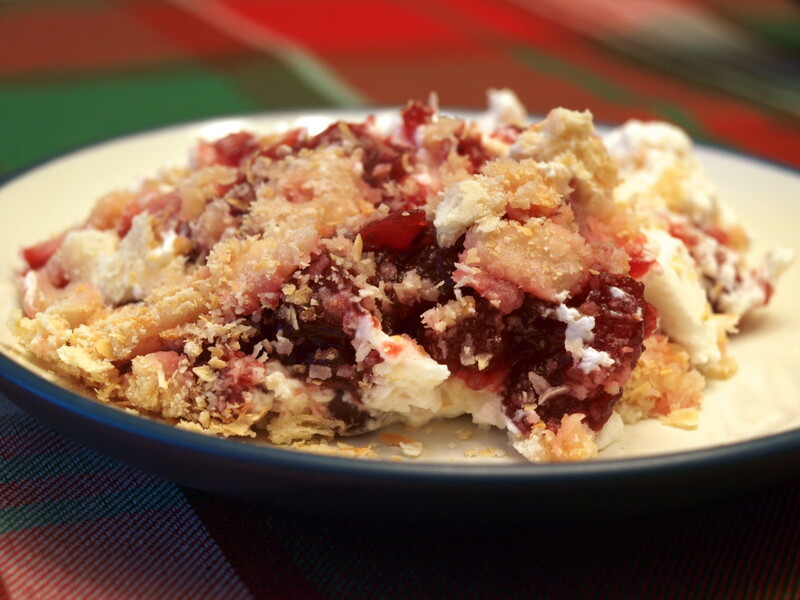 You could start and finish this fruit dessert recipe while the dinner dishes are being cleared. 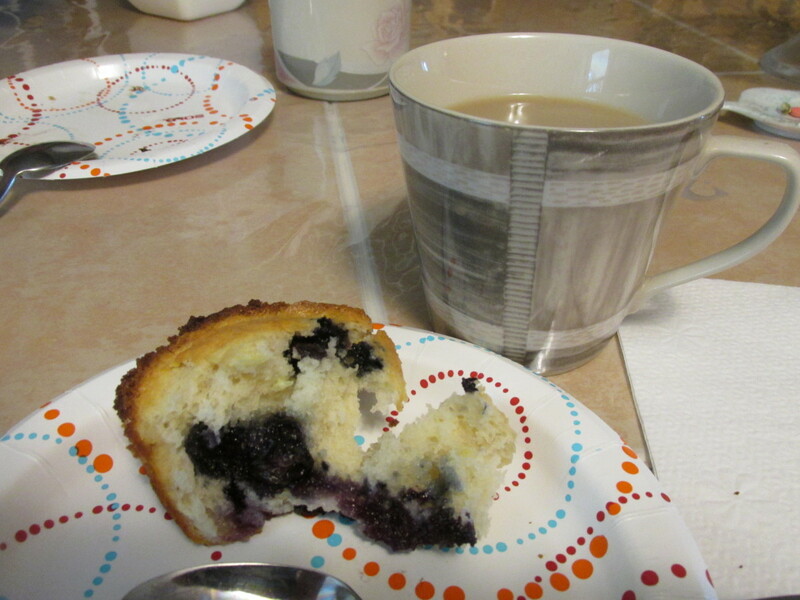 Blueberries are such an enjoyable treat and I hope you enjoy this tasty dessert. I would love to try this. 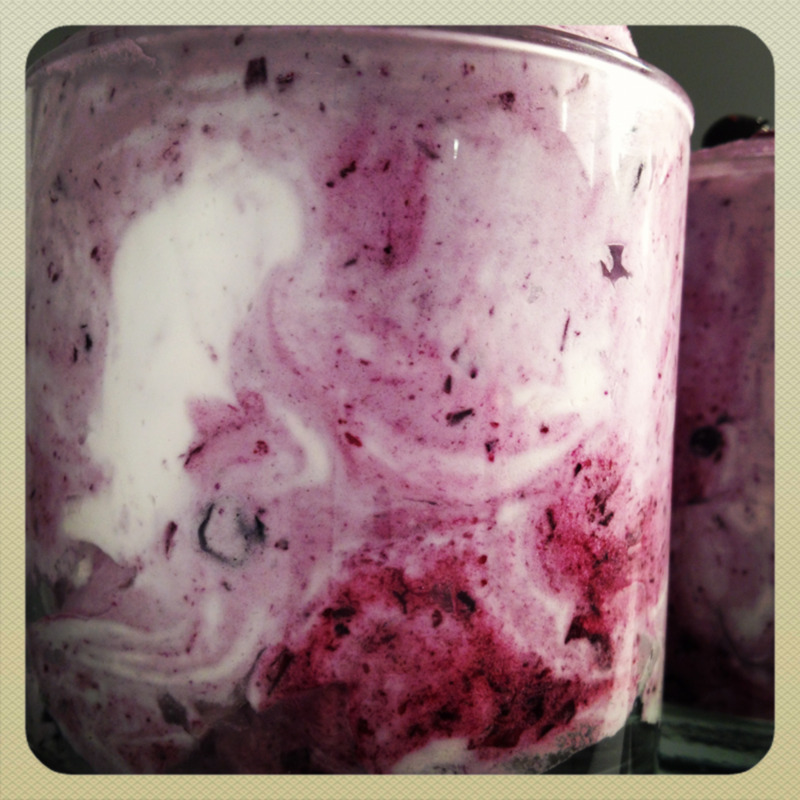 I always put blueberries on ice cream but this one looks really yummy. Looks very delicious. I love anything like this. Voted Up and 5 Stars. Wow...this looks rich and delicious. 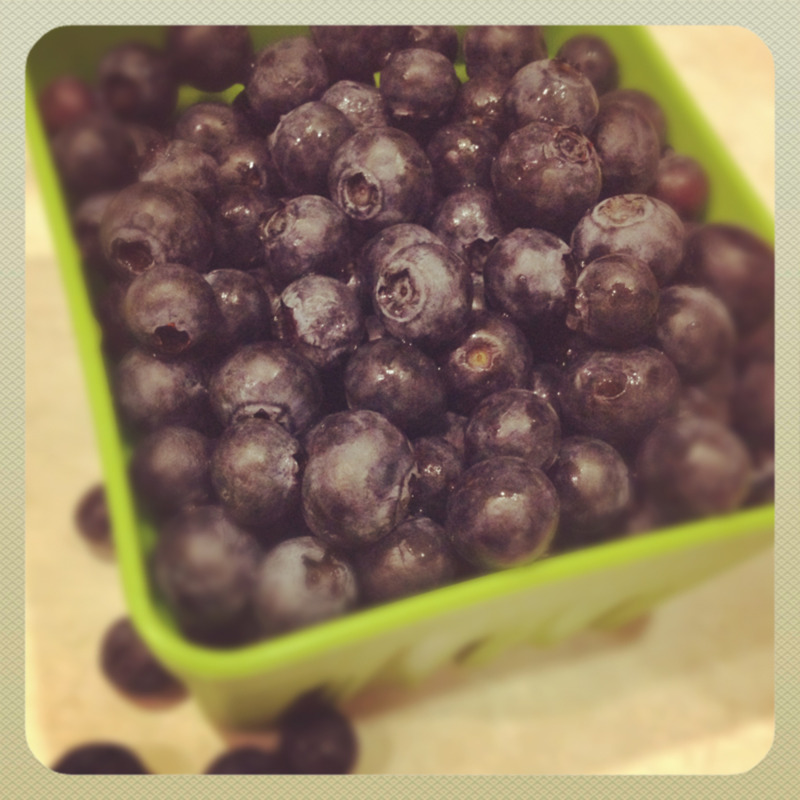 I love blueberries and they are in season right now...so perfect timing. Your photo caught my attention. Wish I had a bite right now. Thanks for your recipe. Voted up and useful! This sounds fabulous and your photos have me sold on this recipe. I like that it only has 3 ingredients. Sometimes simple is simply the best! 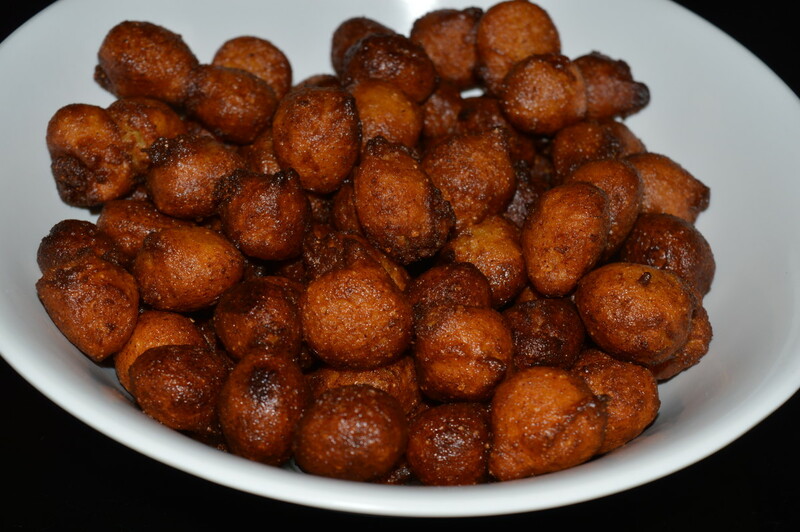 This recipe could easily be adapted to other fruits as well. Voted up and shared. Great and delicious hub ! 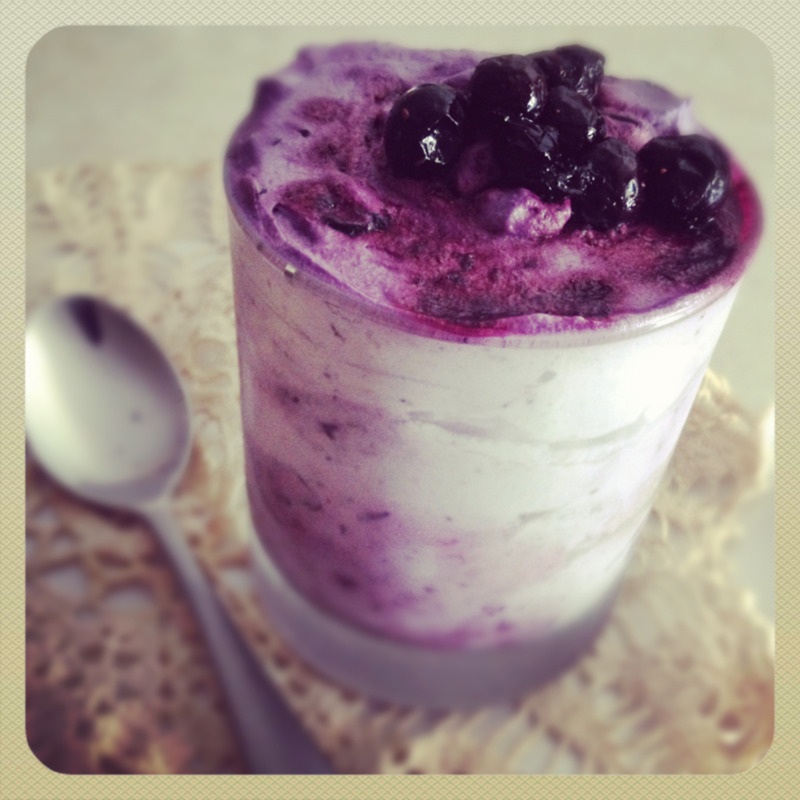 Berry delicious - must try this soon. Thanks for the clear instructions. This looks beautiful. 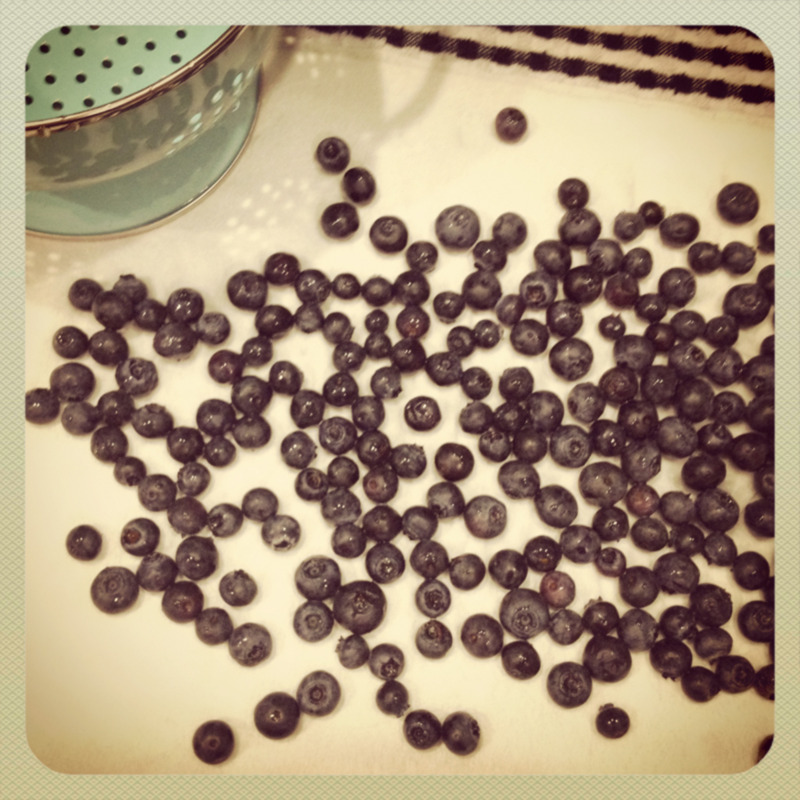 Blueberries are my favorite! 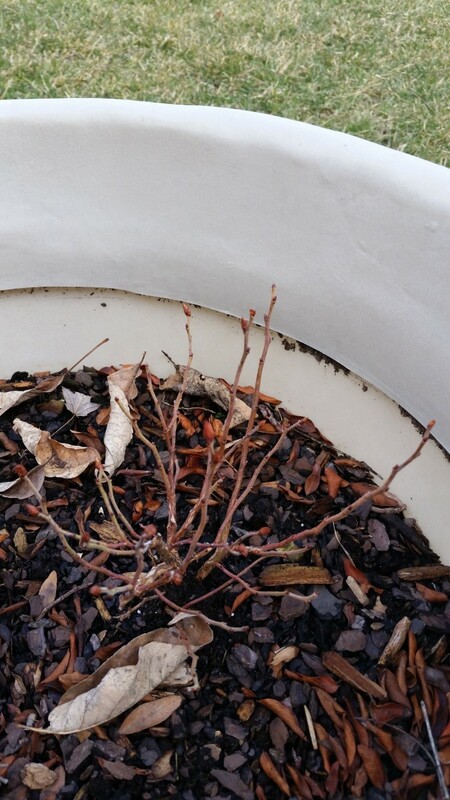 Oooooh, something new to do with all those blue berries on my bushes!Looks absolutely delicious. Wow, this is an awesome hub. Looks absolutely delicious!